The Shark Applicutter is here to make applique easier with a precise 14mm blade that slices with incredible accuracy. 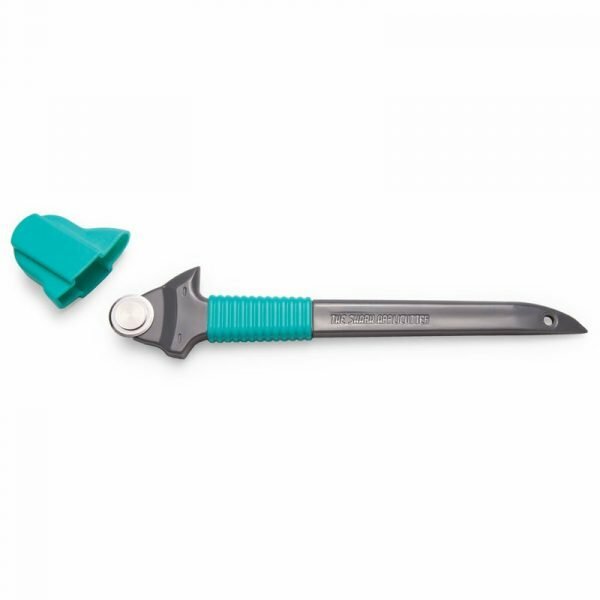 Rob designed this tool with you in mind including a soft grip for comfort, a safety fin for your finger, and it’s adaptable for the left or right hand. Measures 6” long. Comes with cover.